Use fragrances for candle making to fill your home with your favorite scents. Understanding how to use fragrances for candle making can help you create one-of-kind candles that fill your home with beautiful scents. Scented candles can bring back memories of a recent vacation or mimic the scent of your favorite food. Seasonal scents, such as candy corn or Christmas cookies, can be used as part of your holiday décor. Aromatherapy candles can be used to calm frazzled nerves, boost energy levels, set the tone for a romantic evening, or promote a more restful sleep. Buy the highest quality fragrances for candle making that you can afford. Inferior materials result in a less than desirable final product. Understand the difference between fragrance oils and essential oils. Both can be used to make candles, but they are not interchangeable. 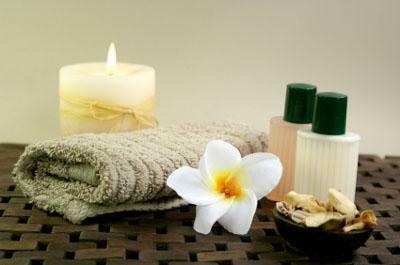 Essential oils are used for aromatherapy purposes and contain natural plant extracts. Fragrance oils are commercially prepared products that have no therapeutic purpose. Remember that fragrances for candle making can be very strong. Begin by adding a few drops of scent to your wax mixture. You can always add more scent to a project, but it's difficult to correct an overly scented candle. Generally, you should limit the use of fragrances for candle making to less than four ounces to ten pounds of wax. If you can't find a scent that suits your needs, try mixing several different oils together to create your own blend. Just remember to keep careful records so you can duplicate your results in the future! Connie's Candles sells everything you need to begin making your own homemade candles. Over 200 fragrance oils are available and all products are tested for skin safety and soy compatibility. Cierra Candles has candle and soap making supplies and kits for crafters of all skill levels. Fragrances come in four different sizes and sample packs are available. Save on Scents is a wholesale retailer of fragrance oils, body oils, and supplies. The available selection includes scents inspired by Yankee Candle, Bath & Body Works, Victoria's Secret, and a variety of designer perfumes. One you've purchased the necessary fragrances for candle making, you can use these same supplies to create coordinating soaps, body lotion, scented linen spray, and homemade potpourri. In fact, many crafters like to create gift baskets filled with complementary items for their family and friends.